Who is VIP Voice Panel? 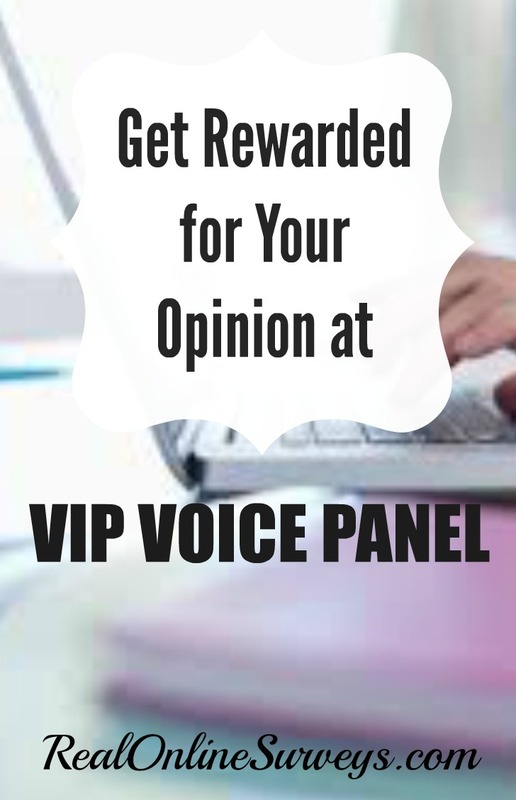 VIP Voice (formerly known as NPD Online Research) is a legitimate survey panel, very similar to Cashcrate.com, Inboxdollars.com and others. You would basically sign up as a member by entering your email and answering a few questions about yourself. How does VIP Voice Panel works? Once your email is submitted, you will receive an email to confirm your registration. 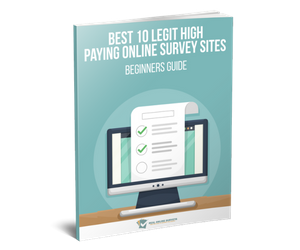 Then you'll immediately become eligible to start taking online surveys. Over time, as you accumulate points, you can redeem them for items such as laptops, store gifts cards or other prizes. You can also use your points for sweepstakes entries once you click on the “SweepsLand” link on their site. Another way to use your points is to bid on prizes in the called “BidLand” section on their site. 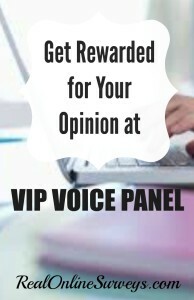 Join VIP Voice Survey Panel – US and Canadians Sign Up Here. Level 1: Complete 1 Survey – Earn 25 points per survey. Level 2: Complete 2 surveys – Earn 50 points per survey . Level 3: Complete 5 surveys – Earn 100 points per survey. Level 4: Complete 10 surveys – Earn 150 points per survey. Level 5: Complete 20 surveys – Earn 200 points per survey. Don't worry! Your points will not expire as long as you're an active VIP Voice member. If you go without taking a survey for 6 months, your account will be inactive. Age Requirement: In order to register and participate with VIP Voice, this is another survey panel for teens will allow members 13 years and up. Open to Countries: At this time, VIP Voice is open to residents in the US and Canada. I have personally not participated with VIP Voice panel, but there are many that criticize them about not winning cash prizes. It seems to very risky to accumulate the points, when there's not guarantee that you'll even win a prize. 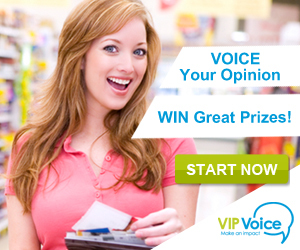 However VIP Voice Panel has over 3 million members, and claims thousands win prizes monthly. You would have to decide if it is worth spending the time to take surveys when there is a chance your points will not get you anything. If you are located in the United States, you would sign up here. For canadians, you would go here to become a member.